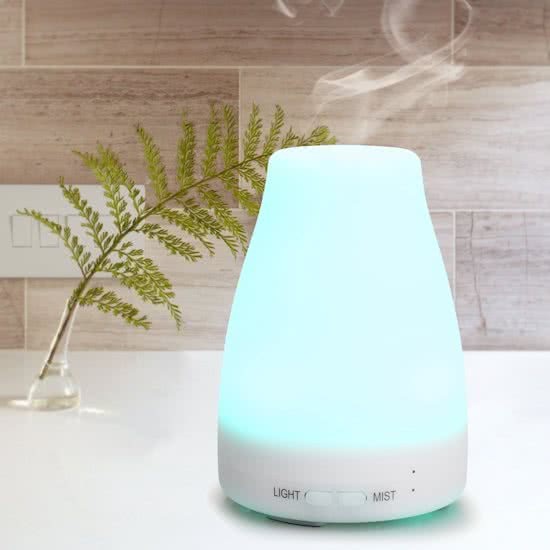 This aroma diffuser with lighting is a beautiful addition to your home. 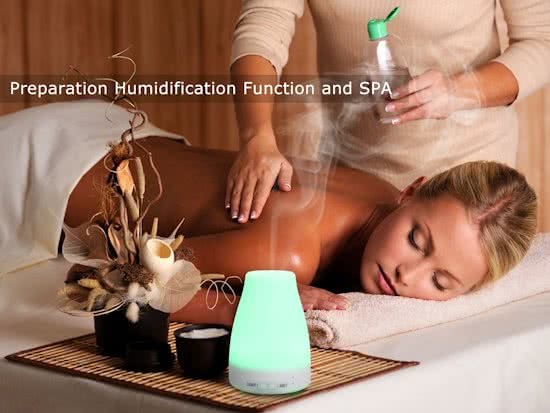 With its elegant design, you will definitely enjoy the relaxing sight and experience on your senses. 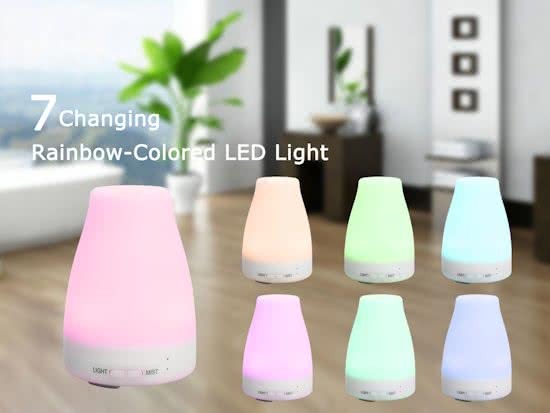 The mist is illuminated by soft LED lights that can be set on a specific color or to gradually changing colors. 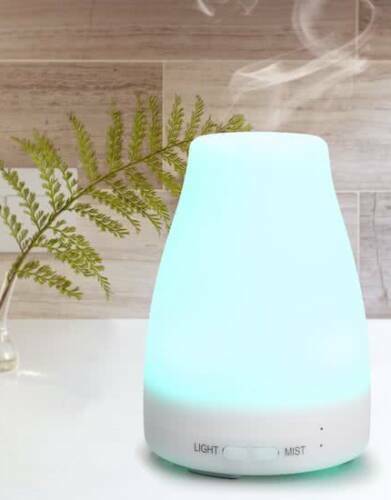 All of these features do not just make this aroma diffuser an attractive sight, but the mist diffuser also has a few very useful functions. You only need a few drops of your favorite essential oil in the water tank. Using ultrasonic techniques a lovely aroma will be spread through the room. It is also very effective in covering up unwanted smells. 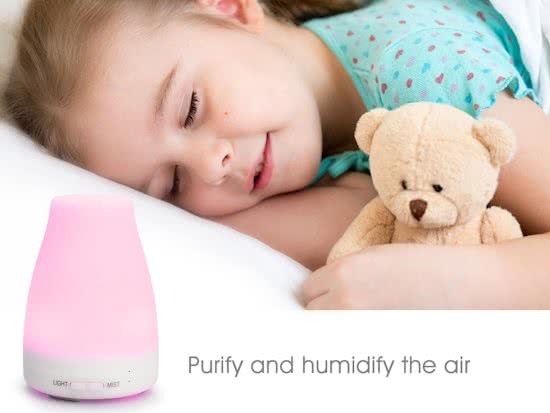 ✓ Very silent Ultrasonic mode: humidifies the living space, avoids dry air and prevents bacteria in the air. ✓ Stimulates the imagination of children with the changing moods that are fully customizable. It is a great help for children that are afraid of the dark. The colors contain green, dark blue, red, yellow, pink, light blue and white. You can also set it to 1 color. ✓ It automatically shuts down when the water tank is empty. Easy to carry and perfect for at home, during yoga, in the bedroom, at the spa, in a baby room, etc. 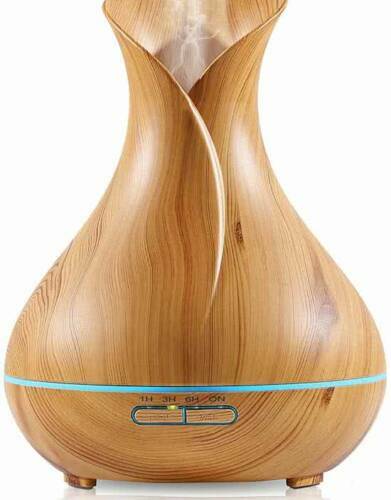 a family gift for people who are fond of aromatherapy oil. ✓ 3 operating modes: intermittent fog (30sec on / 30sec off), continuous mist, only light. Contents: 100ml, extra long power cable. Size: 10x14cm, weight 200g. Works for up to 3 hours in the fashion, and up to 6 hours in the intermittent fashion. 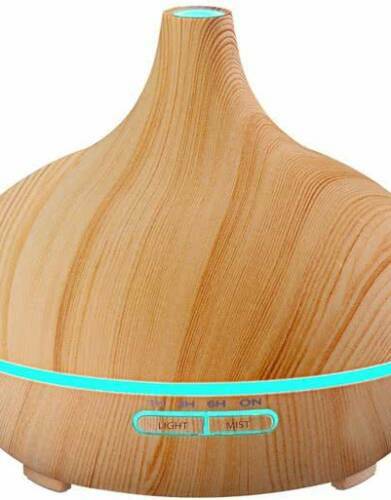 ✓ Helps to purify and humidify the air. 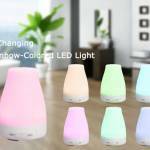 This mist diffuser can also be used as a non-aromatherapy air humidifier. 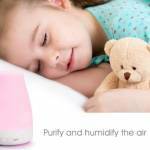 The humid air can help dry cough, sinus irritation and dry skin. ✓ A 10 ml bottle O’dor Essential Lemongrass Oil is included in this package. 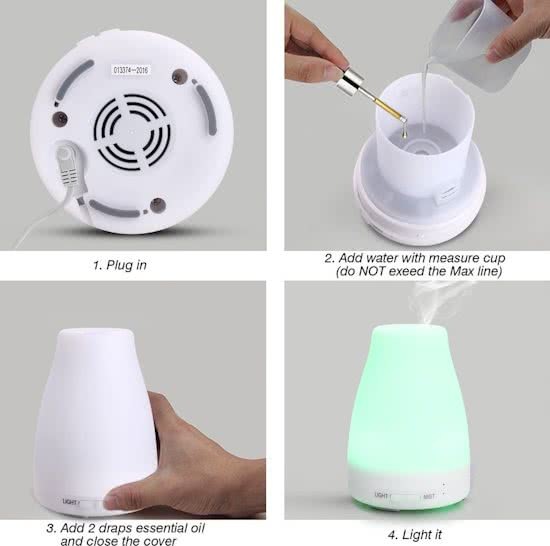 The mist diffuser is an ideal combination with the O’dor® Essential Oil Aromatherapy Giftset.